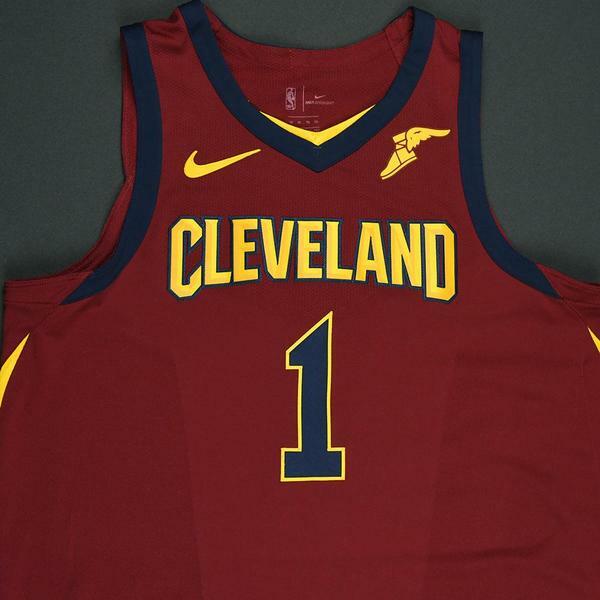 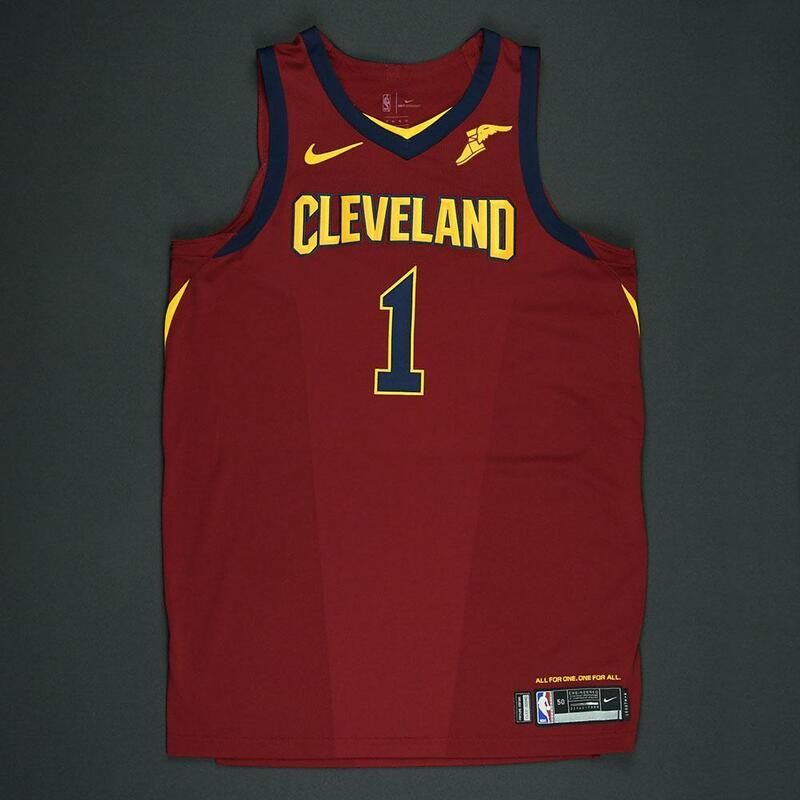 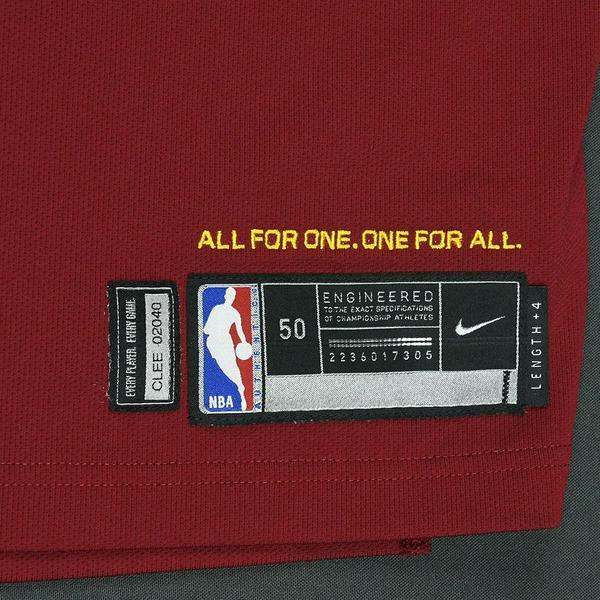 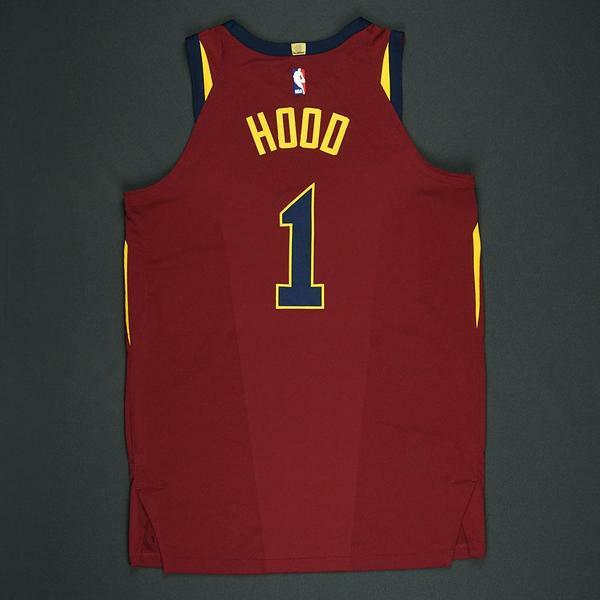 The NBA and MeiGray are proud to offer fans and collectors across the globe the opportunity to own a piece of history... a jersey worn during the 2017-18 National Basketball Association playoffs, by #1 Rodney Hood of the Cleveland Cavaliers. 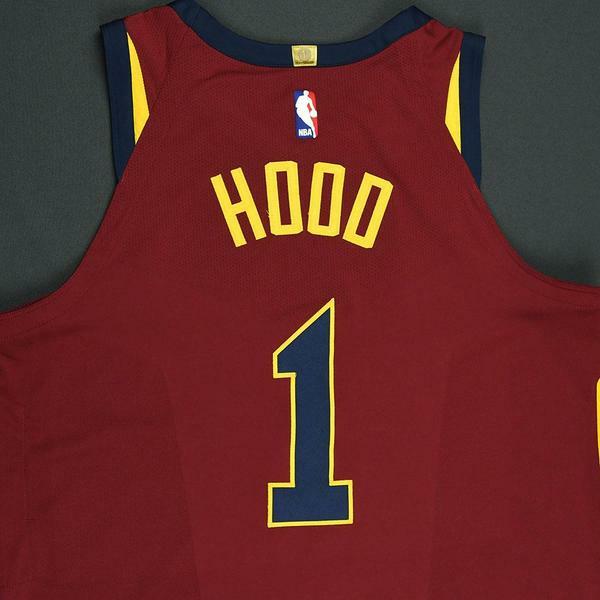 Hood wore this jersey during the Eastern Conference Round 1 Series victory over the Indiana Pacers, the Eastern Conference Semifinals Series victory over the Toronto Raptors and the Eastern Conference Finals vs. the Boston Celtics. 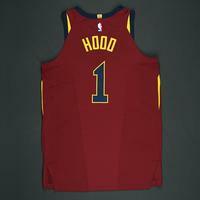 He wore this jersey in 3 games. 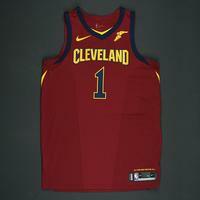 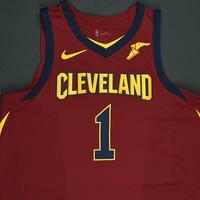 This jersey was authenticated to the Eastern Conference Round 1, Games 4 and 6 and the Eastern Conference Finals Game 1. 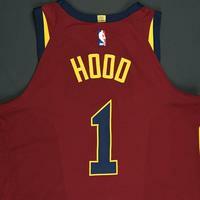 His best game was Eastern Conference Round 1, Game 6 in which he registered 12 points with 1 assist and 3 rebounds. 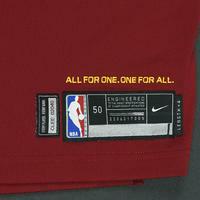 This wine jersey, a Size 50 +4 inches extra length, is registered into the NBA and MeiGray Game-Worn Jersey Authentication Program as number CLEE02040.